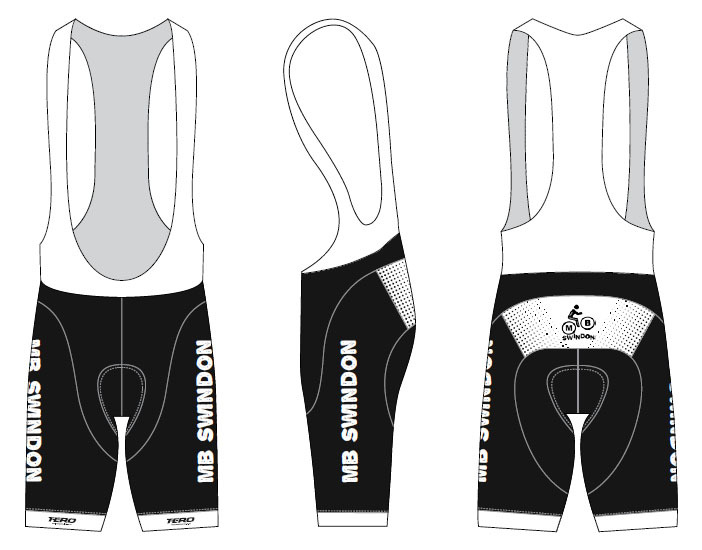 MB Swindon branded bib shorts are now available again. The perfect partner for your MB Swindon jersey . These shorts will see you comfortably through any ride you take them on. 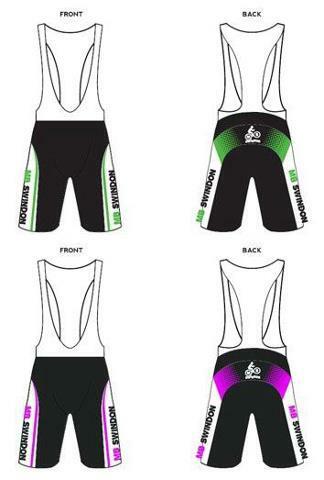 The shorts are now only available in the black/white colour scheme below so will match either the green or pink shirts. Featuring a high density, multi layered cushion foam in a 6 dimensional combo all engineered together to absorb shock. It has a seamless, antibacterial fabric surface with soft touch finish that wicks moisture away from your skin keeping you dry and cool. No matter how long the ride! In addition, a double layer Lycra band for the leg opening prevents the shorts from riding up and improves comfort compared to the sticky silicone grips. PLEASE NOTE: Due to a supplier change the sizes are very different to the old shorts so PLEASE take a look at the size charts below before ordering. All shorts are custom ordered, and have to be ordered from the supplier in a minimum quantity of 10. Shorts can take up to 6 weeks to arrive from the date we order them from the supplier.